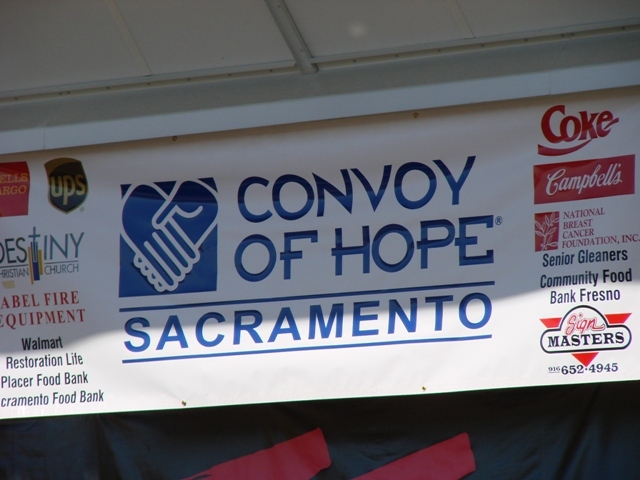 Having represented the Power of Pain Foundation as California Ambassador at the Convoy of Hope held at Cal Expo September 15th, 2012 in Sacramento California I’d like to thank the Power of Pain Foundation (POPF), Barby Ingle, Ken Taylor, POPF Board of Directors, Trudy Thomas, Chris Greulich, Convoy of Hope, Susan Gosselin, Jackie Jurek Miss Folsom Cali USA, Kurtis VanFleet POPF Jr. Ambassador and Volunteers of the day Erik, Kharisma and Erykah VanFleet for all their hard work and commitment. I was and still am thrilled to have been able to promote awareness, distribute information, and answer questions related to Reflex Sympathetic Dystrophy Syndrome, Complex Regional Pain Syndrome/Causalgia and other neuropathic conditions. 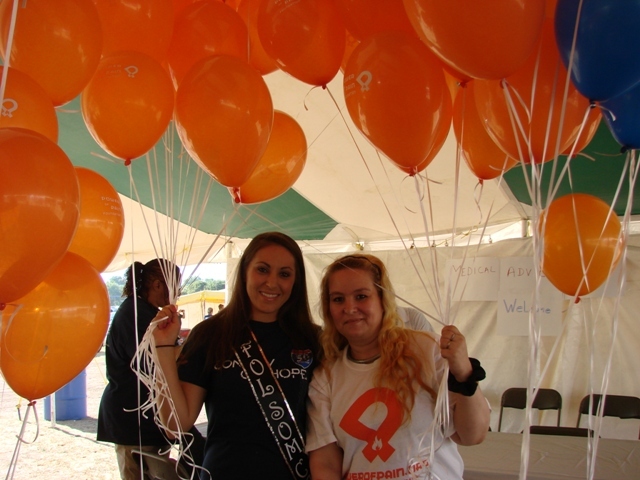 I also did a balloon release in the name of the Power of Pain Foundation, RSD/CRPS/Causalgia/Neuro Inflammatory Disease, Cure and Hope! Cure is barely heard on the video as someone was hugging me at the time, but all other words are heard clearly even though I stuttered some. I’m putting together a slide show video of the event and hope to have it ready this month. It will consist of more photos an information of the event not just of the Power of Pain Foundation but of the entire day. All photos were taken by POPF Jr. Ambassador Kurtis VanFleet. A video of the balloon release will also be uploaded soon. It was such a wonderful day, so many people were given free groceries, clothing, shoes, vision, dental and medical screenings, hair cuts, portraits, breakfast, lunch and so much more. 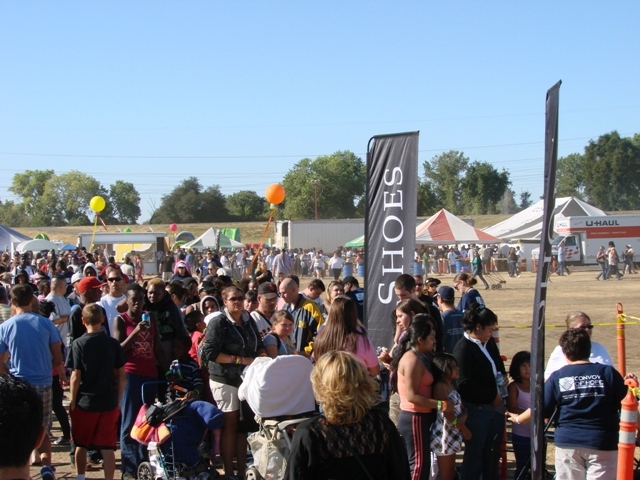 This years turn out of a bit over 5,000 attendees was much lower than the previous years. The economy hurt this event from being even greater. 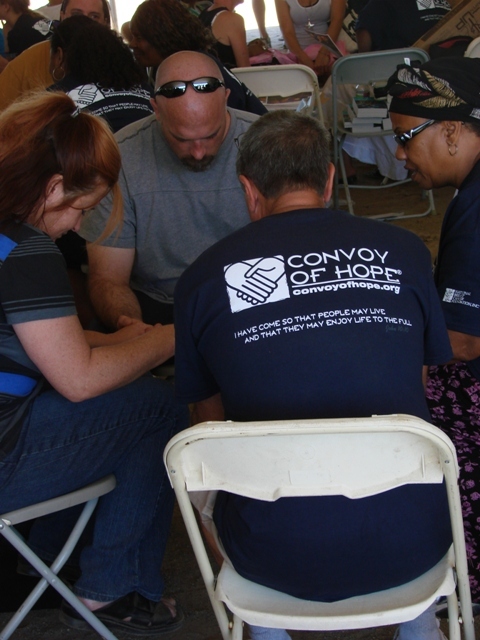 Not enough donations to the Convoy of Hope, people couldn’t afford gas or public transportation to get there. People come from areas outside of Sacramento and weren’t able to this year. People were camped out the night before the event to get in early, so gates were opened early, but also closed an hour early to accommodate for timing. All these services were Free! In addition thousands of pounds of food, water, and juice was distributed. Medical, dental and vision supplies are costly. 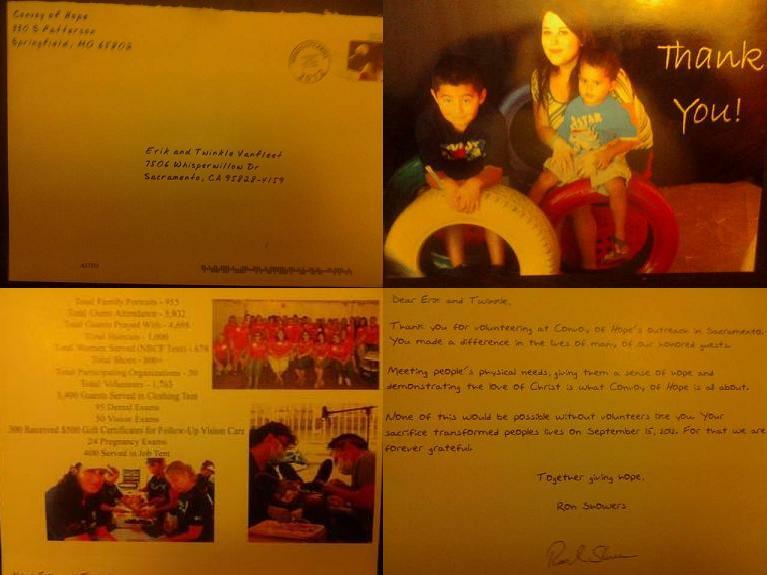 Yesterday we received a Thank You Card from the Convoy of Hope. While the card was sent to me it very much belongs to the Power of Pain Foundation as a whole. 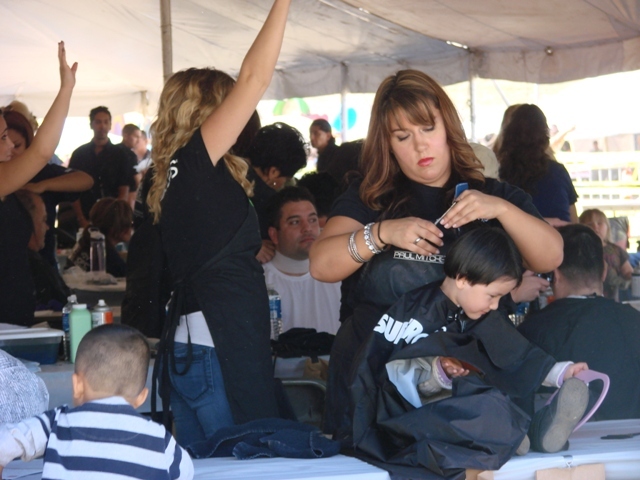 It is a shame that our economy is in such bad shape that even a good thing, an all free collaborative event was cut in half by those who were able to attend when we know the 1000’s who couldn’t be there needed the free groceries, medical exams and freebies that were offered and given away. I pray for all those faces I seen. Those I spoke to and those I didn’t. Let us all pray… for one another.. 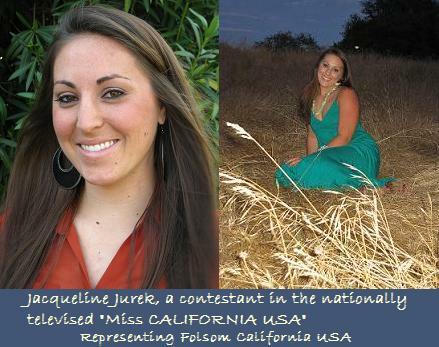 Introducing Jacqueline Jurek, a contestant in the nationally televised “Miss CALIFORNIA USA” Pageant, Jackie will be representing Folsom Cali USA and has joined the team at the Power of Pain Foundation. Jacqueline Jurek is an aspiring neuropsychologist from Sacramento, California. She graduated High School in 2007 with honors at El Camino Fundamental and went on to SDSU where she recently graduated in May of 2012 with a Bachelors of Art in Psychology. She is currently in the process of applying for Clinical Psychology Grad School at Sac State While taking EMT classes at a Local Community College and interning with the Sacramento Country Coronors office in the Invesigative Department. In her spare time Jackie enjoys the outdoors, staying fit, and spending time with family and friends. Swimming, hiking, country concerts, and being involved with her church are among the activities she enjoys the most. She’s all for standing up for what you believe in, striving for your goals, and making sure not to take life too seriously that you forget to enjoy it. As a contestant in the the nationally televised “Miss CALIFORNIA USA” Pageant, Jackie will be representing Folsom Cali USA and is excited to join the team at the Power of Pain Foundation with her passion in neuropsychology and is ready to help make a difference in her community and her fellow neighbors.Jackie will be making a special appearance at this years Convoy of Hope being held at the Cal Expo on September 15, 2012 where we will be distributing valuable and informative pamphlets, books and materials on Reflex Sympathetic Dystrophy, Complex Regional Pain Syndrome/Causalgia and Neuropathies, raising RSD/CRPS awareness, answering questions, having a photo book of RSD/CRPS limbs available for viewing, a free raffle and more. 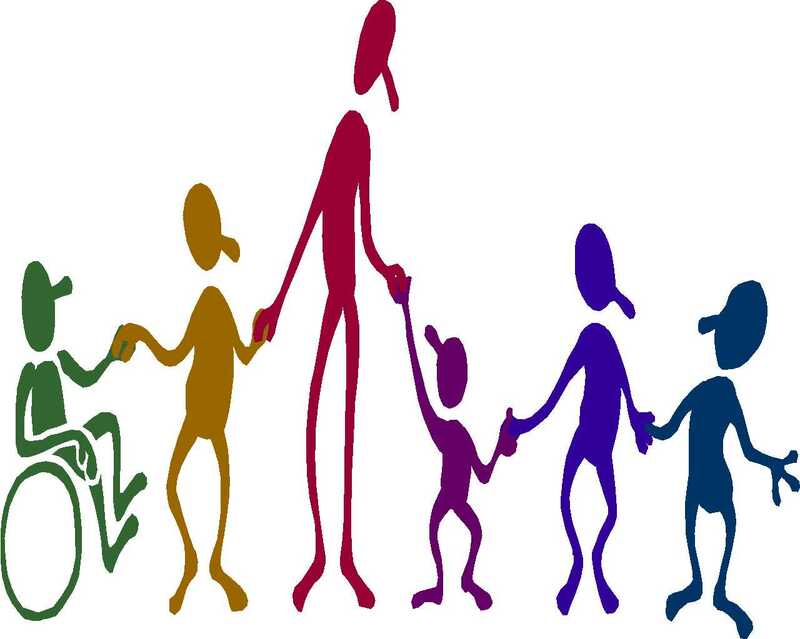 Reflex Sympathetic Dystrophy Type 1, Complex Regional Pain Syndrome Type 2/Causalgia is a painful, debilitating, neuropathic and auto immune disorder. Reflex Sympathetic Dystrophy Syndrome (RSD) also known as Complex Regional Pain Syndrome (CRPS)/Causalgia is an illness first discovered by Weir Mitchel during the Civil War. Over 10 million people have been diagnosed in the U.S. Alone. The McGill Pain Index rates RSD a 42 out of 50 and is listed as the most painful chronic disease that is known. While it seems as if it is a rare disease it’s not, yet not many know about it. It’s our goal to change that. RSD/CRPS is a physical condition. Any depression or psychological manifestations are secondary do to the illness and due to the fact it is so painful to live with. Abstract: Complex regional pain syndrome (CRPS) describes a diversity of painful conditions following trauma, coupled with abnormal regulation of blood flow and sweating, trophic changes, and edema of skin. The excruciating pain and diverse autonomic dysfunctions in CRPS are disproportionate to any inciting and recovering event. CRPS type I is formerly identified as ‘‘reflex sympathetic dystrophy.’’ CRPS type II is the new term for ‘‘causalgia’’ that always coexists with documented nerve injury. The present diagnostic criteria of CRPS I and II depend solely on meticulous history and physical examination without any confirmation by specific test procedure (or gold standard). There are only few clinical studies with large-scale randomized trials of pharmacologic agents on the treatment of CRPS. Bisphosphonates have been studied in multiple controlled trials, based on theoretical benefit of bone resorption, to offer pain relief and functional improvement in patients with CRPS.Many current rationales in treatment of CRPS (such as topical agents, antiepileptic drugs, tricyclic antidepressants, and opioids) are mainly dependent on efficacy originate in other common conditions of neuropathic pain. There are additional innovative therapies on CRPS that are still in infancy. No wonder all the treatment of individual CRPS case nowadays is pragmatic at best. Although the interventional therapies in CRPS (such as nerve blockade, sympathetic block, spinal cord and peripheral nerve stimulation, implantable spinal medication pumps, and chemical and surgical sympathectomy) may offer more rapid response, yet it is still controversial with unpredictable outcome. Nevertheless, we need to start pain management immediately with the ambition to restore function in every probable case of CRPS. An interdisciplinary setting with comprehensive approach (pharmacologic, interventional, and psychological in conjunction with rehabilitation pathway) has been proposed as protocol in the practical management of CRPS. It is crucial to have a high sensitivity value combined with a fair specificity in revising diagnostic criteria of CRPS. The validation and consensus for new rationalized diagnostic criteria of CRPS could facilitate further research to enhance clinical outcome including quality of life. These endeavors to minimize suffering from CRPS would certainly be appreciated by many patients and their loved ones. More recently we have learned that RSD/CRPS is a Neuro Inflammatory and Neuroautoimmune disorder. It can effect any part of the body. It can spread from a single limb to several and it can involve the internal body as well. This does not happen in all patients, but it can happen. Not only will Jackie be representing the Power of Pain Foundation with me, but she will be available to take photos and sign autographs with the guests that come to our booth. Come support Jackie, the Power of Pain Foundation and the Convoy of Hope at this spectacular event! We hope to see you there! 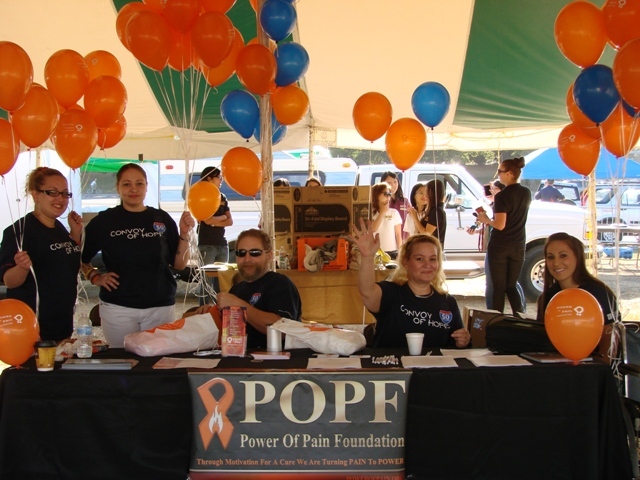 September is Pain Awareness Month!